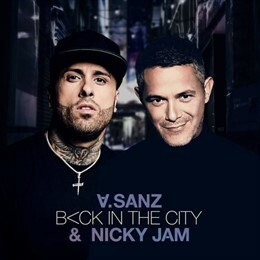 Esta es la portada de #BackInTheCity con @nickyjampr ¡Por fin este jueves a las 22:00 h (hora española) lo compartiré con vosotros! - This is #BackInTheCity cover with @nickyjampr . Finally this Thursday at 10 pm (Spanish local time) I will share it with all of you! - Esta é a capa de #BackInTheCity com @nickyjampr ¡Por fim nesta quinta-feira às 10 pm (hora espanhola) o compartilharei com vocês!